Stuart McGill, Professor of Spine Biomechanics at the University of Waterloo in Canada has conducted dozens of studies replicating the movement of the spine when doing this movement. After replicating the flexing of the human spine, he examined the discs and found they had been squeezed to the point where they bulged. THIS Movement presses on nerves causing back pain, and can even cause a herniated disc. P.S. Your spine has a shelf life. 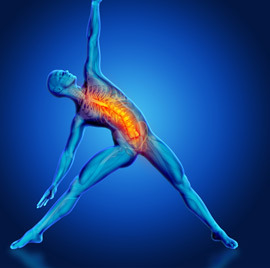 You only have so many flexions in your spine before it starts to deteriorate. You can't repair it. You can't change it. That's how it is. The more you flex your spine the more you age your spine. So why would you actively try to flex your spine at it's most vulnerable point causing it to age faster and further?